You may not be nervous at all about visiting the dentist. But put yourself in a child’s place — a routine dental visit could be an anxious experience for them, and even more so if it involves dental work. Dental professionals recognize this and go to great lengths to make children’s visits as pleasant as possible. It’s common among pediatric and family dentists to see child-friendly exam rooms and a well-trained staff experienced with interacting with children. While this helps, some children still struggle with anxiety. Dentists have one other technique that can ease a child’s nervousness: conscious sedation. This technique involves the use of pills, inhaled gas or intravenous drips to help patients relax. Sedation is different from general anesthesia, which uses drugs to render a patient unconscious so they won’t experience pain. A sedated patient remains in a conscious but relaxed state: they can still breathe independently and, with the most moderate form of oral sedation, be able to respond to touch or verbal instructions. Oral sedation may also be accompanied by other methods like nitrous oxide gas that also aid with physical discomfort. Many drugs used often have an amnesiac effect — the patient won’t remember details about the procedure, which could contribute to less anxiety in the future. Typically, a child receives an oral sedative just before the procedure. Most drugs are fast-acting and leave the child’s system quickly afterward.Â A staff member monitors their vital signs (pulse, respirations, blood pressure, etc.) during the procedure and after in recovery. They’ll remain in recovery until their vital signs return to normal levels and then be able to go home. They should stay home the rest of the day under adult supervision, but should be alert enough the next day to return to their normal activities. 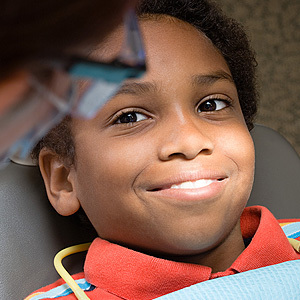 Relieving anxiety is an important tool to ensure your child receives the dental care they need. It also creates a positive experience that could encourage a young patient to continue regular dental care when they reach adulthood.